Frame grab from The Virgin Suicides (Sofia Coppola, 1999). Read Anna Backman Rogers's article on this film at the new NECSUS journal. Hot off the press! To coincide with its annual conference, taking place in Lisbon from tomorrow, the European Network for Cinema and Media Studies (NECS) has just launched its new online and open access journal NECSUS. Feast your eyes on the marvellous contents of its first issue on Crisis below. It has been added to Film Studies For Free's permanent listing of online and open access film and media studies journals. And now FSFF's author will read it! Yay! Enjoy the conference, fellow NECS members! May the Fourth Be With You published on May 4, 2012 by thehpalliance. Read Henry Jenkins' and Ashley Hinck's articles about the Harry Potter Alliance. Film Studies For Free is a very big fan of the open access journal of Transformative Works and Cultures, so it is delighted that there's a new issue out. It's a themed collection of studies of transformative works and fan activism, edited by media studies superheroes Henry Jenkins and Sangita Shresthova. Links to abstracts of the articles (and from there to the articles themselves) are given below. Transformative Works and Cultures, Vol 10 (2012): Transformative Works and Fan Activism, edited by Henry Jenkins and Sangita Shresthova, University of Southern California. 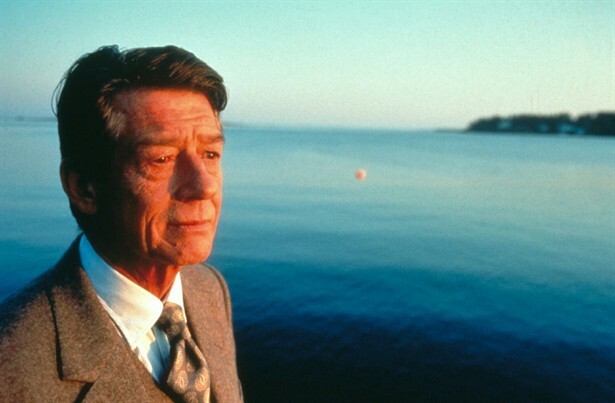 Frame grab image of John Hurt in Love and Death on Long Island (Richard Kwietniowski, 1997) an adaptation of the late Gilbert Adair's novel. Film Studies For Free is thrilled to alert its readers to the publication of a new issue of LOLA, the fantastic online journal edited by Adrian Martin and Girish Shambu. You can read all about it, and also find the essential links to articles, at this account of the issue at Girish's blog, in which he additionally announced that, henceforth, LOLA would be releasing the contents of each issue in stages. So, in the coming weeks, you should definitely watch for further texts on Bresson, Cronenberg, Grandrieux, Rotterdam Film Festival, Venice Biennale, and more. In the meantime, you don't have to wait to read the following fabulous essays by stellar contributors, including a marvellous dossier on the work of Chantal Akerman. Adrian Martin - Sint Lukas Brussels - 20/10/'11 from Courtisane Festival on Vimeo. Jonathan Rosenbaum RITS-cinema Brussels 27/10/11 from Courtisane Festival on Vimeo. Jonathan Rosenbaum KASK cinema Gent 28/10/11 from Courtisane Festival on Vimeo. Jacques Rancière - Bozar studios Brussels - 18/11/'11 from Courtisane Festival on Vimeo. Today, Film Studies For Free presents some videos it's been meaning to link to here for an age: a series of very extensive, and very wonderful, masterclasses given by Adrian Martin, Jonathan Rosenbaum and Jacques Rancière in Brussels in 2011. Their talks, part of the "Goodbye Cinema, Hello Cinephilia" project, explore the status and possibility of cinephilia and film critical thinking. These astonishingly good events took their title from the wonderful 2010 book by Jonathan Rosenbaum. Below are a few related links, including one to FSFF's mammoth collection of online writing on cinephilia. Production at Film Studies For Free Towers will slow up, for a month or so, due to the sheer weight of responsibilities elsewhere, FSFF is afraid. Some of those responsibilities are significant authorial and, especially, editorial ones which will bear truly glorious, open access, film scholarly fruit very soon! But this site will continue to post some occasional gems in the meantime. And this brings us to the above, excellent excerpt from one of the great Indiana University Cinema Podcasts. Check out the full audio podcast episode at here. Lins to previous episodes are here. You can subscribe to the podcast on iTunes. The IU podcast is also on Twitter and Facebook. And for further, film studies, podcast fun and frolics please don't forget the wonderful Film Versus Film crew series with Dustin Morrow, Chris Cagle, David Cooper Moore and Matt Prigge. Their beautiful Tumblr is here.